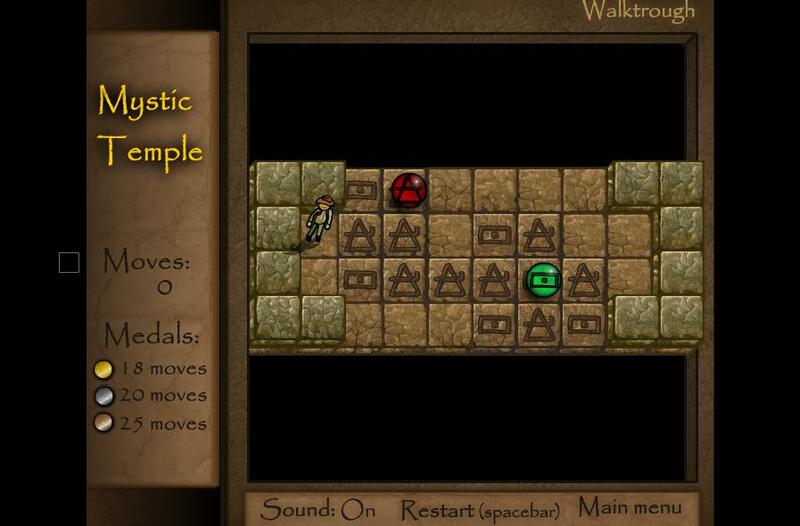 Home Posts Tagged "maze of rooms puzzle"
Mystic Temple is an excellent puzzle game. The objective is to get through a maze of rooms. Use cursor keys to move around and pick up spheres to clear obstacles. After all the spheres are picked, the room is unlocked and allows you proceed to the next room. Click here to play.